The 2015 model year has been an extremely exciting one that now flows into automotive history. We’ve seen the automakers stumbling inches from death while others have somehow been reborn. Vehicles are now getting better fuel economy than ever, yet horsepower and performance numbers continue to grow – though not usually from the same platform. Still, this year has been a fantastic ride full of drama, big debuts, and lots of honestly excellent cars. It’s our job here at TopSpeed to bring you the latest news from the automotive industry and reviews of the newest products. It might be the best job in the world, second only to being an astronaut, in my book – but naming winners from this year’s crop of cars will be tough. Automakers have poured vast amounts of time and money into making products better. Cars in the last five years have risen in quality, feature content, and connectability. Those found on dealer lots in 2015 represent the latest in a century’s old industry that prides itself on creating things people desire and chase after. Thankfully we have criteria that should make the task simpler. If you haven’t read how TopSpeed’s award system works, click here. These vehicles will be judged not against each other, but against our seven key points. Narrowing the field, contenders must be significantly refreshed or all-new for the 2015 or 2016 model year, and must have been in dealer showrooms within the 2015 calendar year. Lastly, each of our editors will submit their top five pick for each of the three categories that include car, truck, and performance vehicle. Here are my top picks. Armed with that info, let’s get to it. The following article is the sole opinion of Mark McNabb. The vehicles listed here will be assigned points related to their ranking, and will then be added to the overall scores from each editor. The overall winner of each category will be announced according to the points spread. Ok, so some might balk at the Miata not being in the list of Performance Car of the Year, so let me explain. The Miata is more than just a blank canvas for spec racers and weekend track hobbyists. It’s an honest convertible that’s also purchased by people who have no interest in racing for driving dynamics. It’s a fun car for all types. What’s more, it doesn’t carry that “Oh my gosh, feel that power!” type of response typical of true performance cars. 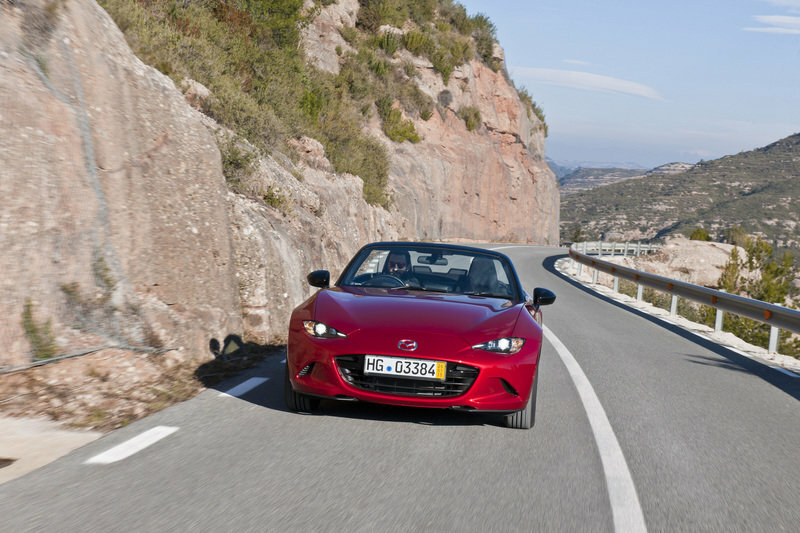 Still, absolutely none of that detracts from the Miata’s fantastic driving characteristics, its sweet powertrain, and fantastic new look. It’s smaller than the original NA Miata yet more powerful, has a reasonable starting price of $24,915, and carries with it a rich heritage that makes gearheads like me smile. And honestly, I can appreciate how a simple two-door roadster with a four-cylinder can capture the heart of racecar drivers and hairdressers alike. Honda has been struggling in years past with the Civic. What was once the automaker’s bread and butter somehow fell into a deep stage of odd designs and unimpressive interiors. This led Honda to refresh the Civic several times in a few short years, though never really nailing down a product that captured consumers’ attention. That’s changed with the all-new 2016 Civic – a car that takes a massive leap forward in every way while recalling the stuff that made older Civics special. The Civic has drastically grown up, dumping the teenybopper look for one that appeals to a wider array of audiences while not falling into boringness. Its new crop of engines includes turbocharged units with more power and more efficiency. Handling is said to be much improved, as well. 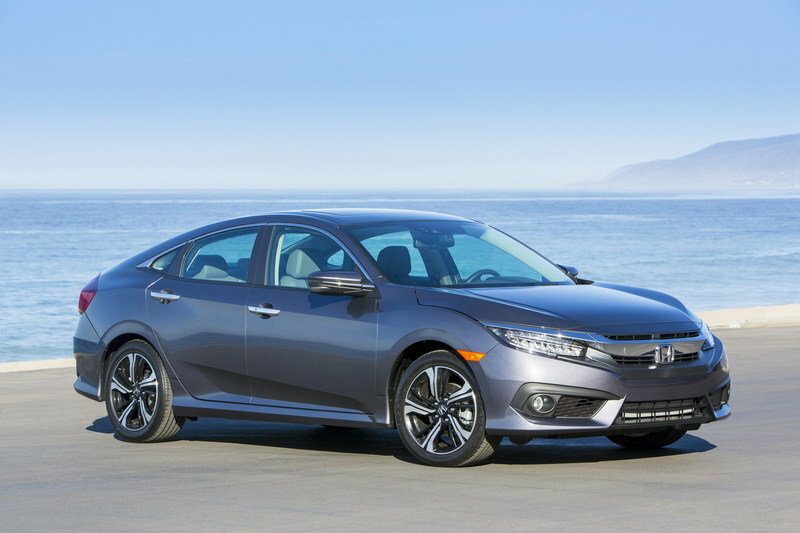 A wide range of trim levels and a base asking price of $18,640 makes the Civic hard to ignore. 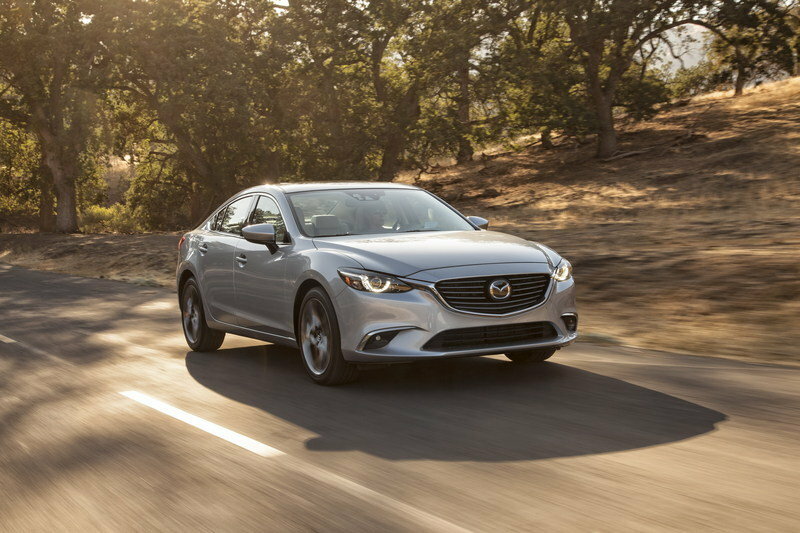 When it comes to reasonably priced, fun-to-drive sedans, Mazda generally has things on lock. The Mazda 6 is a great example of this, offering room for five, a decent trunk, and an interior that wouldn’t look out of place in a higher-priced sedan. The current generation of 6 has been on the market since 2012, but this refresh for 2016 brings a revised exterior appearance and an improved interior with upgraded amenities. The Mazda 6’s powertrain does carry over unchanged, but continues to be competitive in its segment. The 2.5-liter SKYACTIV four-cylinder produces 184 horsepower, 185 pound-feet of torque, and can achieve 40 mpg highway thanks to the available i-ELOOP system that scavenges power from braking to power the headlights, radio, and climate control. The i-ELOOP system is only offered in the range-topping Grand Touring trim. Both a manual and automatic transmission can be had, save for the auto-only i-ELOOP. Prices for the Mazda 6 are equally attractive, starting at $21,495 and growing to $30,195 for the Grand Touring model. “Wait, the Chevy Malibu? Are you serious?” Yep, it’s hard to believe after GM let the once impressive nameplate degrade into a ho-hum rental car that no one bought for emotional reasons. All that changes for the 2016 model, however. The Malibu is all-new from bumper to bumper, including its powertrain, interior, and of course, its exterior styling. Perhaps the Malibu’s new lease on life can be attributed to its designer, Jaymer Starbody, who’s the ripe old age of 25. The Malibu’s new powertrain includes a 1.5-liter turbo four-cylinder making 160 horsepower and 184 pound-feet of torque, and a naturally aspirated 2.5-liter four-cylinder that makes 196 horsepower and 186 pound-feet of torque. Those numbers are down from last year’s Malibu’s engine outputs, but efficiency with both engines is greatly improved. For those wanting even more efficiency, the Malibu Hybrid returns from hiatus with a 1.8-liter four-cylinder and parts from the Chevy Volt. Thankfully the Malibu’s vast improvements don’t translate into a drastic price increase. The base trim carries a $22,500 price while the range-topping Premier trim starts at $31,795. Like the Mazda 6, Kia gave the Optima a welcomed refresh, though Kia is calling the 2016 Optima its fourth generation. It’s easy to see Kia’s focus here is added luxury, efficiency, and user connectability. 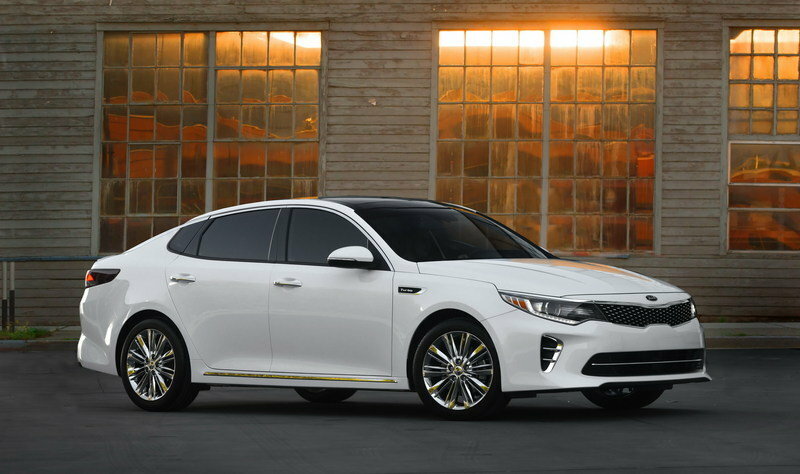 The Optima has a new exterior design that looks wider and are aggressive, without changing the actual dimensions. The front end, with its Tiger Nose grille and LED lights, is still the statement centerpiece. Inside, things are improved over the already impressive 2010 through 2015 Optima. Fit and finish is improved, making the Optima one of the more premium entries in the non-premium sedan segment. An eight-inch infotainment screen uses Kia’s UVO2 software that supports Apple CarPlay and Android Auto, along with offering the option of an Infinity audio system with 14 speakers. NVH levels are improved as well thanks to new engine and body mounts. The Optima’s powertrain options carry over, though with less power than before, but increased efficiency. A new 1.6-liter turbocharged, four-cylinder engine makes its debut, producing 247 horsepower and 260 pound-feet of torque. The new mill is slotted as the range-topping engine. Prices for the Optima begin at $21,840 and crest above the $35,000 mark. The Titan XD gets my vote for Truck of the Year for a couple of reasons. First, Nissan is thinking outside the box. It researched the market and found a hole between the half-ton and three-quarter ton segments, then aimed to fill it with a unique product that offers segment-exclusive features, while pushing the bar higher in quality. The 2016 Titan XD is available in 2015 with the 5.0-liter Cummins V-8 turbodiesel that makes 310 horsepower and 555 pound-feet of torque. 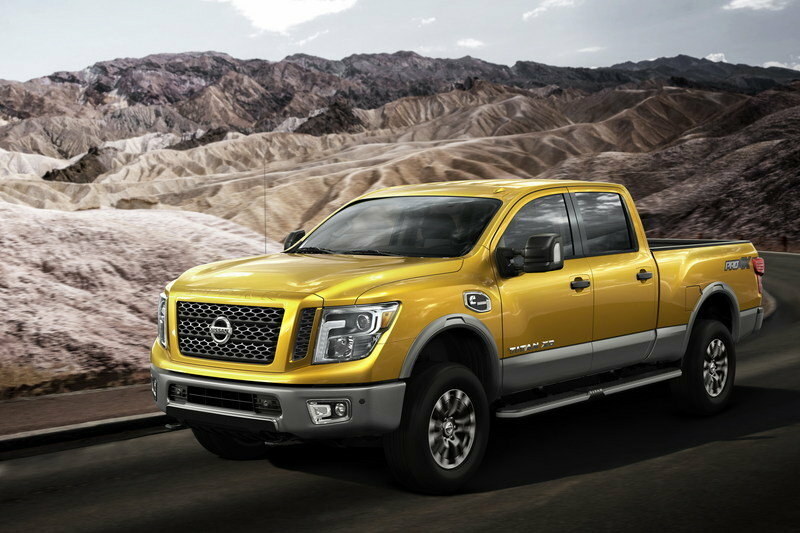 That, combined with a heavy-duty, six-speed automatic transmission, allows the truck to pull more than 12,000 pounds. All but the base trim level comes standard with a gooseneck hitch. All Titan XD trucks come with innovated bed features like tie-down rails. Though the truck has only been on the market for a few weeks, the Titan XD pushes its way to the top spot against the criteria. Prices for the truck start around $40,000 for the diesel-powered Crew Cab in 2WD. 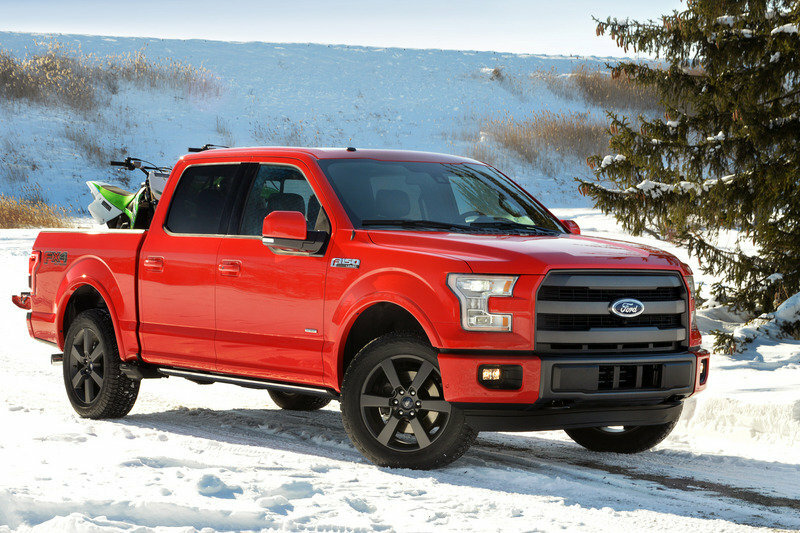 The F-150 is the oldest nameplate in this truck section, but seeing the all-new 2015 F-150 will make you think otherwise. Ford poured a ton of money and technology into the new truck, giving it an all-aluminum body on top of a high-strength steel frame. The truck has no less than four available engine choices, including the new 2.7-liter EcoBoost V-6. The engine is slotted to be the volume powerplant and provides 325 horsepower and 375 pound-feet of torque (V-8 numbers from not long ago) while giving the truck V-6 fuel economy. Inside the cab, especially on upper trim levels, boasts tons of tech. The MyFord Touch infotainment system, combined with the TFT display in the gauge cluster, allows for customization of information that includes everything from powertrain stats to radio station programming. Prices for the F-150 swing wildly depending on trim level. The base XL starts at $26,315 while the range-topping Limited starts at $58,480. Also falling into the truck category for our awards, Volvo’s newest crossover SUV shows just how dedicated the automaker is to luxury, safety, and efficiency. 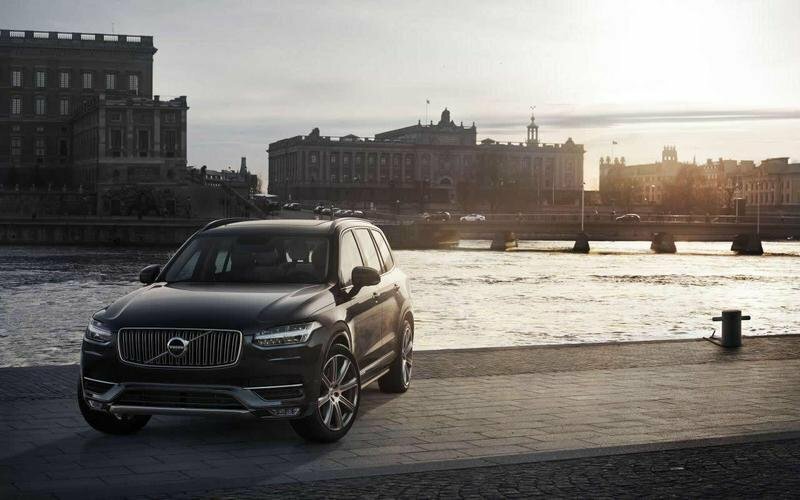 The XC90 pushes the design bar through the roof with its striking exterior and absolutely stunning interior. The level of detailing within the XC90 can only be appreciated in person. The sophistication continues with the pair of powertrains. The standard engine in the XC90 T6 is a 2.0-liter four-cylinder that is both turbocharged and supercharged, giving it 316 horsepower and 295 pound-feet of torque. The engine powers all four wheels through a smooth-shifting eight-speed auto. The T8 Hybrid uses the same engine, but connect it to a 9.2-kWh lithium-ion battery and two electric motors, one on each axle. Total combined output s 400 horsepower and 472 pound-feet of torque. Impressively the hybrid still returns an EPA-estimated 59 MPGe. Prices for the 2016 XC90 T6 start at $49,900 while the T8 Plug-In hybrid starts at $68,100. The Tacoma has been a mainstay of the midsize truck market for more than two decades, yet Toyota left its last generation Taco under the heat lamp too long. That’s changed for 2016 as the Tacoma gets a heavy revision to the point Toyota calls it all new. The truck boasts a revised frame, a new exterior design, and a welcoming new interior that far surpasses the old truck’s internals. The dash gets Toyota’s Entune infotainment system and a TFT display in the gauge cluster. Comfort is much improved, though leg room is somewhat cramped for rear passengers, even in the crew cab. 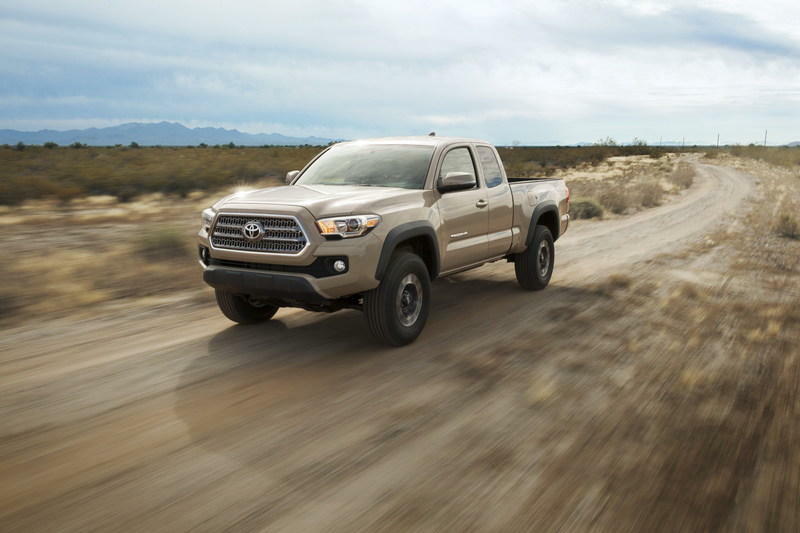 Though the interior does a lot for the new Tacoma, the all-new 3.5-liter V-6 and six-speed automatic transmission brings new life to the truck. The V-6 uses both direct and port fuel injection, as well as both Otto and Atkinson combustion cycles to produce power in the most efficient way. Prices for the new Tacoma start at $23,300 and crest into the upper $30,000 range. 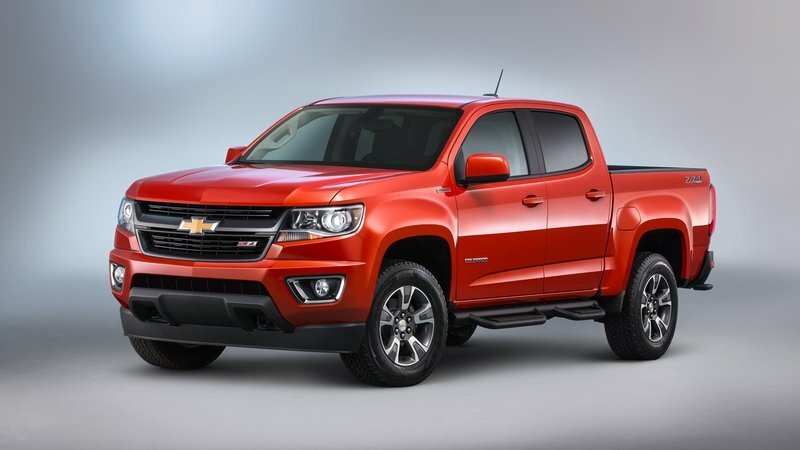 The Colorado may be an all-new truck for the 2015 model year, but I’m nominating the 2016 model with its 2.8-liter Duramax four-cylinder turbodiesel. Not only does the Colorado retain its outstanding exterior design and interior amenities that made it an award-winning truck for 2015, but the new engine offers customers impressive fuel economy the breaks into the 30-mpg realm, while delivering 369 pound-feet of torque. Thanks to the extra 100 pound-feet of torque, the Colorado diesel can tow an extra 700 pounds, maxing out at 7,700 on the receiver hitch. What’s more, the extra power makes the truck a breeze to drive. Revs stay low, but the turbo spools quickly and power rolls on, allowing for relatively quick passing. The diesel might be the only significant change between the 2015 and 2016 Colorado models, but in my book, that’s enough to make it complete. Even still, the advent of the diesel in the midsize category brings a new level of fuel economy to an otherwise all-gasoline segment. Prices for a Duramax-equipped Colorado start at around $35,000. Having driven the 2016 Camaro SS more than 800 miles only a short time after spending a week with the 2015 Camaro SS 1LE, I can attest to it’s the car’s much-improved nature. 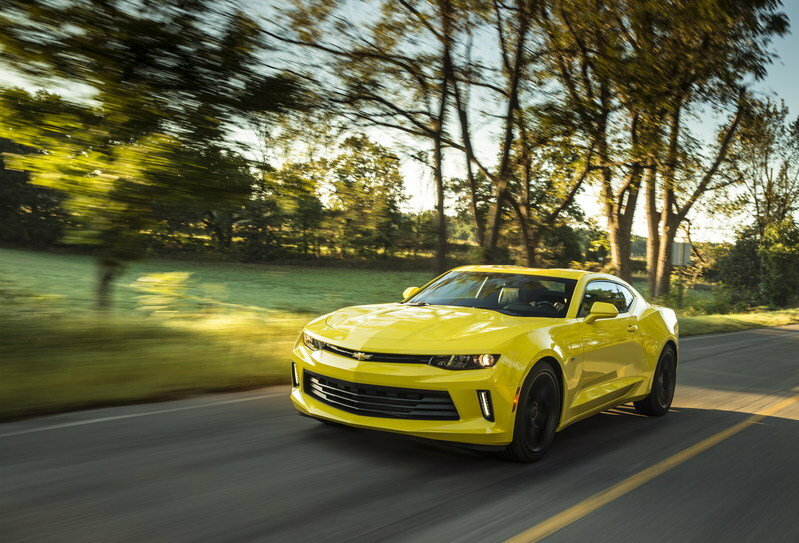 The Camaro’s new chassis, LT1 powertrain, six-speed manual gearbox, and optional Magnetic Ride Control make it a fantastic handling machine. Then there’s the interior. Chevrolet pulled out all the stops here, ditching the old retro design of the fifth generation car in favor of something far more user friendly, comfortable, and functional. Sure, the back seats are a tiny bit smaller, but no one buys a Camaro for a people hauler. The exterior is much improved as well, with more pronounced lines and a more aggressive (and less bulky) overall appearance. The Camaro SS starts at $37,295. Porsche fanatics love their rear-engined 911, but quietly know its limit-handling is compromised thanks to all that weight out back. The mid-engined Cayman, however, has a far more balanced ride, but has lacked the power found in the higher-end 911s. That is, until Porsche dropped in the 911 Carrera S’ 3.8-liter flat-six that pumps out 385 horsepower and 309 pound-feet of torque to the rear wheels. An honest six-speed manual lets the driver dictate shifts the old fashioned way. 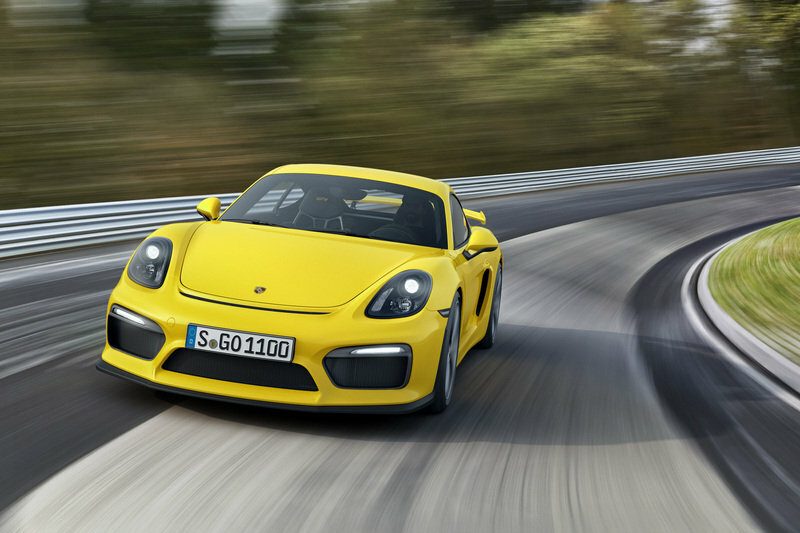 The Cayman GT4 also borrows the 911 GT3’s front suspension bits, making it even more of a back-road burner. Massive Michelin rubber keeps the car on the track while it posts a 0-to-60 time of 4.1 seconds on its way to a top speed of 183 mph. The PASM dampers allow gives the driver choices over suspension settings, dialing back the stiffness for off-track driving. The Cayman GT4 isn’t cheap, however. Its base price starts at $85,595 and can quickly rise into the $100,000 range with options. The C7 Corvette Z06 became available very early in the 2015 calendar year, so it’s had plenty of time to find homes in upper middle class suburban driveways. “Upper middle, you say?” Sure, with a starting price just under $80,000, the Z06 is reasonably obtainable as far as supercars go. It’s far less expensive than a Ferrari or Lamborghini. Still, it offers an amazing level of performance right off the showroom. The supercharged 6.2-liter LT4 V-8 kicks out 650 horsepower and 650 pound-feet of torque – all to the rear wheels through your choice of a seven-speed manual or eight-speed automatic. Numbers guys will want the automatic, thanks to its ridiculously quick shifts, allowing the car to hit 60 mph in just 3.0 seconds and through the quarter-mile in only 11.1 seconds at 127 mph. 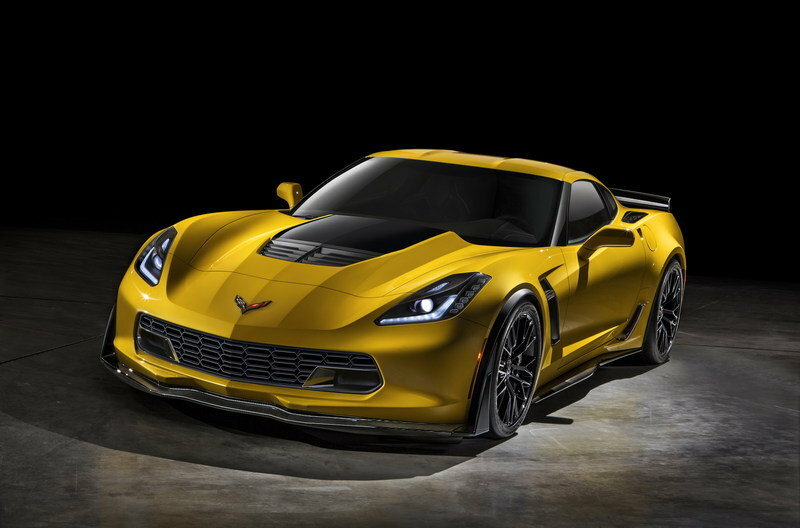 So besides the engine, the Z06 offers the Z07 package, which adds on a laundry list of upgrades like aero bits, ceramic brakes, ultra-performance tires, and more. The Z07 is simply an outright amazing machine that eats track days for breakfast and snacks on drag races before bed. It’s hard to find a more composed, well-engineered vehicle that starts under $100,000. Of course, Chevrolet isn’t the only automaker producing outrageous machines built for the track. Ford’s latest pony car delivers on that with a flat-plane crank V-8 that displaces 5.2-liters and kicks out 526 horsepower and 429 pound-feet of torque through a six-speed manual transmission. As good as the car is, I’m technically stretching the limits of the criteria. 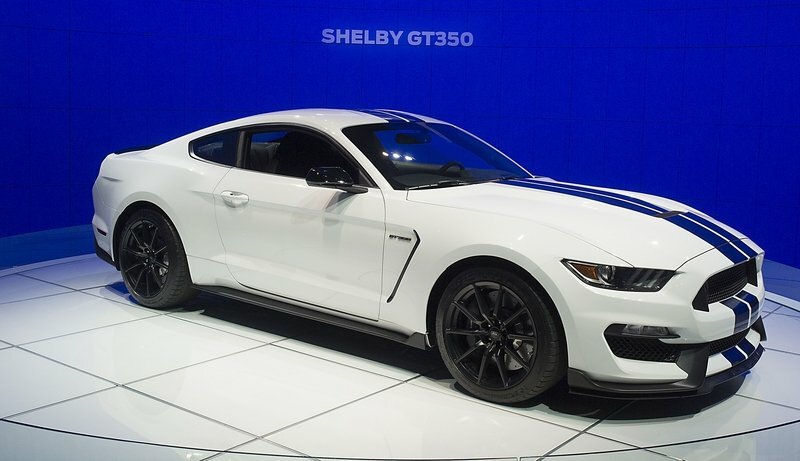 Ford has only produced a very limited run of Shelby GT350s for the 2015 model year – 100 to be exact. Then again, after the 100 examples are produced (not including 37 GT350R variants), the cars will switch to the 2016 model year. Either way, the Shelby is available in the 2015 calendar year. Regardless of technicalities, the Shelby is perhaps the best track-performing Mustang ever released from the factory with the one exception of its R variant. Both versions, however, use the same high-revving V-8 that wails like no other production V-8 on the planet, including other flat-plane crank engines. With its suspension dialed in and stick tires – both from the factory – the GT350 offers outstanding grip that allows the car to reach nearly one G in lateral acceleration. That doesn’t quite beat the Z06, but it’s far better than any Mustang ever built. You couldn’t have lived a day in 2015 without hearing something about the Dodge Hellcat twins. They feature a monstrous, 6.2-liter, supercharged V-8 Hemi that cranks out an impressive 707 horsepower and 650 pound-feet of torque. Focusing on the Charger here, the engine is then mated to a quick-shifting, ZF-sourced eight-speed automatic that sends power to the rear wheels. Friday night drag races is what this thing lives for. The spring to 60 mph happens in roughly 3.0 seconds – if you can get the 275-series rubber to hook up – and the quarter-mile happens in 11.4 seconds. Opt for drag slicks and the Hellcat get into the 10s. 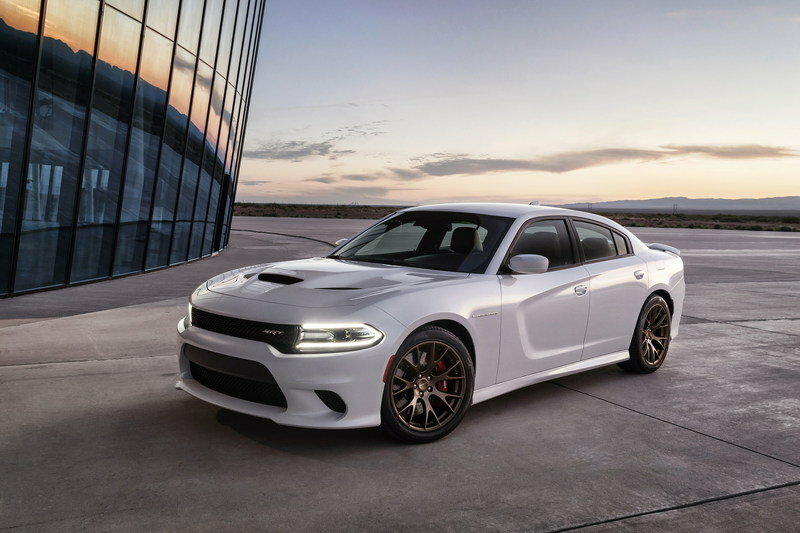 While the Charger Hellcat is mostly about power, the car does perform daily duties with ease. Set the performance modes to their tamest modes, and the car is easy to drive. Your mother could run to the grocery store and never know she was driving the fastest production sedan on the planet. Still, the Hellcat is meant to be driven hard. Passing speeds happen in a flash, with absolutely jaw-dropping acceleration. Best of all, the Charger Hellcat isn’t out of reach. It carries a base price of $64,990. A limited number of options keep prices within a few thousand of the original sticker price. These picks represent what I feel like is the best choices on the market today in terms of design, engineering, efficiency, safety, value, execution of their intended function, and their ability to enrich the life of their owner. That last one is in there because owning a car should be a fun, enjoyable experience after all. Remember, my picks here will be given points based on their placement from one to five, then ranked with the other vehicles submitted by TopSpeed’s other editors. The results will be announced come January 4th, 2016.